Anchor Bay Entertainment and The Weinstein Company are proud to announce the home entertainment release of the critically acclaimed comedy/drama starring Judi Dench and Steve Coogan, Philomena. 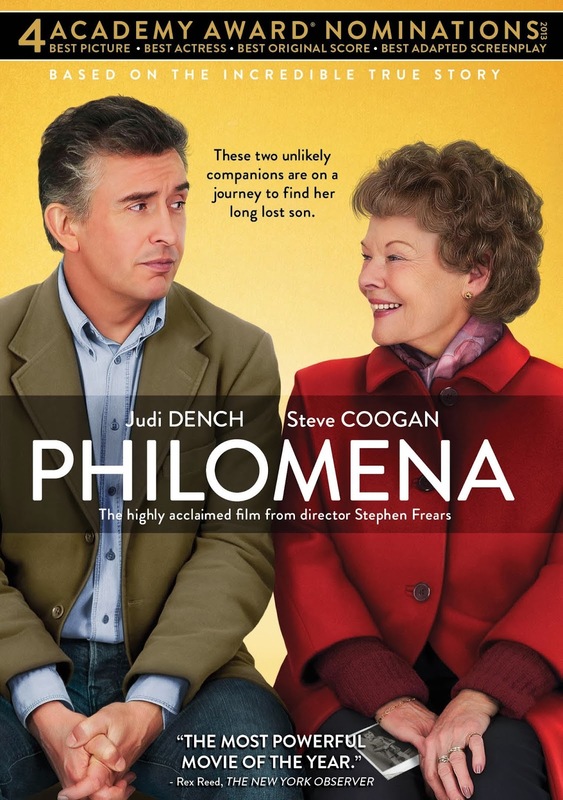 Directed by Stephen Frears and co-written by Steve Coogan and Jeff Pope, Philomena will be available for digital download on April 4, 2014 before heading to DVD and Blu-Ray with Digital HD UltraViolet on April 15, 2014. Judi Dench stars in the story of Philomena Lee, mother to a boy conceived out of wedlock and given up for adoption. Nearly 50 years later, Philomena meets Martin Sixsmith (Steve Coogan), a former BBC reporter looking for his next big story. Together, they embark on a journey to locate her long lost son. As the pieces of the puzzle come together, the unlikely travel companions form a comic and heartwarming friendship. BEVERLY HILLS, CA – Anchor Bay Entertainment and The Weinstein Company are proud to announce the home entertainment release of the critically acclaimed comedy/drama starring Judi Dench and Steve Coogan, PHILOMENA. 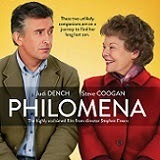 Directed by Stephen Frears and co-written by Steve Coogan and Jeff Pope, PHILOMENA will be available for digital download on April 4, 2014 before heading to DVD and Blu-Ray with Digital HD UltraViolet on April 15, 2014. PHILOMENA premiered in the main competition section at the 2013 Venice Film Festival where it took home the prize for Best Screenplay. Later, the film won the Audience Award for Best Narrative Feature at the Hamptons International Film Festival. The Weinstein Company released the powerful film theatrically on November 22, 2013 where it has grossed over $34 million dollars to date. The film accolades continued with a 2014 Screen Actor’s Guild nomination for Judi Dench for Outstanding Performance by a Female Actor in a Leading Role and 2014 Golden Globe®nominations for Judi Dench for Best Performance by an Actress in a Motion Picture – Drama, Steve Coogan and Jeff Pope for Best Screenplay – Motion Picture, and Best Motion Picture – Drama. The Academy of Motion Picture Arts and Sciences nominated PHILOMENA for four Academy Awards® including: Best Picture; Best Actress in a Leading Role, Judi Dench; Best Music – Original Score, Alexandre Desplat; and Best Writing – Adapted Screenplay, Steve Coogan and Jeff Pope. In February, the British Academy of Film and Television Arts honored Steve Coogan and Jeff Pope with the Best Adapted Screenplay award. PHILOMENA has a running time of 98 minutes and is rated PG-13 for some strong language, thematic elements and sexual references. DVD and Blu-Ray™ special features include A Conversation with Judi Dench; The Real Philomena Lee; Q&A with Steve Coogan; and Feature Commentary with Steve Coogan and Screenwriter Jeff Pope.